In Monday’s article all about how to play Baccarat, we covered the basics of playing a Baccarat hand, the Player and Banker, and the areas you need to know on the Baccarat table. Now that you know how to play, it’s time to learn how the Baccarat hands are scored, how you win, and what happens in the case of a tie. If you are used to playing Blackjack, this next scoring rule is going to seem a little weird, so brace yourself. To tabulate your score in Baccarat, you first add up the value of your cards (see above), and then drop the 10’s digit of the score completely. A 6 and an 8 would be worth a total of 4 in Baccarat. Ok, now you know how to score a Baccarat hand. So now that you know how to score, how do you know if you’ve won? Well, much as you would expect, you win by having a higher score than the other player. Since the 10’s digit is always dropped in Baccarat, the lowest score you can have is 0 (ZERO) and the highest score you can have is 9 (NINE). As you may remember in the previous how to play Baccarat lesson, you are able to bet on the either the Banker or Player WINNING or, you can bet on a TIE. 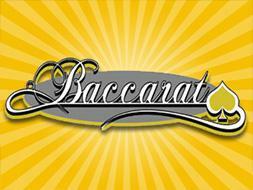 Since there are only 9 possible scores in Baccarat, ties actually happen quite often. In these cases, If you bet on TIE, you win. If there is a tie and you bet on either the Player or the Banker, these bets PUSH, and you simply receive your money back. Now you know how to play a full round of Baccarat, how to score a Baccarat hand, and how your win, lose, and tie in Baccarat. In the next installment of the How To Play Baccarat series, we’ll go over the rules of Baccarat so you know what the heck is going on when the dealer keeps throwing extra cards at you. If you want to get started play Baccarat right now or want to try out over 130 free online casino games right now, just click on the Play Now button below to get started!